Howdy! 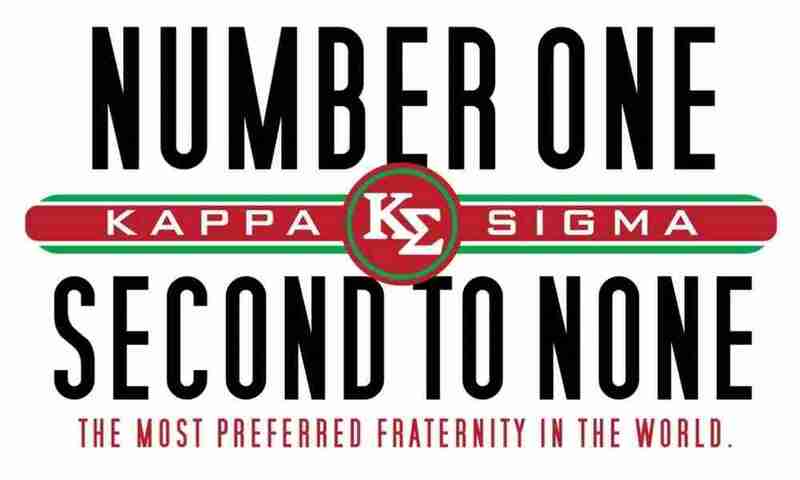 Thank you for visiting the official website of the Mu-Gamma chapter of the Kappa Sigma Fraternity. I am honored to serve as President and Grand Master of this chapter at the distinguished institution of Texas A&M University. Unlike any other university, the Aggie student body displays commitment to selfless ideals and a protection of our own, and Kappa Sigma embodies these same qualities better than any other fraternity. The members of our fraternity have dedicated themselves to the principles of Fellowship, Scholarship, Leadership, and Service; the four pillars of a man of Kappa Sigma. Leadership in our chaper is seen University wide as brothers have served as counslors for Fish Camp and Aggie Transition Camps. We have brothers who hold or have held roles in International Study Abroad Programs, Big Event Staff, Student Senate as senaters and Speaker of the Senate and Class President for the Fightin' Aggie Class of 2020. We hold our diversity, work ethic, diligence and commitment in the highest regard as these qualities embody the definition of our brotherhood. To us, membership in Kappa Sigma is a privilege and the opportunity of a lifetime. With Texas A&M’s move to the Southeastern Conference, Greek Life and the university as a whole have made great strides, with Kappa Sigma also experiencing the same progress. Over the past five years, we have nearly doubled our number of members, as well as expanded our alumni base to over 500 Aggie graduates. Time with Kappa Sigma has turned brothers into successful men post-college. We have brothers consulting with the Big 4, serving co-ops with National Defense Contractors, working for Amazon, and in California working for Google. At the forefront of it all, we strive for developing leaders through community involvement, academic excellence, and ideal friendship throughout life. I hope you enjoy browsing through our site and invite you to see for yourself how Kappa Sigma sets itself apart from other organizations on campus. Our beloved fraternity always aspires to be the example of fraternal leadership which few can equal, and none can exceed. Here at Kappa Sigma, our goal is to build better men by living well-regulated lives, by taking care of business, and by still managing to have the ultimate college experience. If you have any questions that are unanswered on this site, feel free to contact me at any time. Find out about our organization, mission, and our over 600 year history.